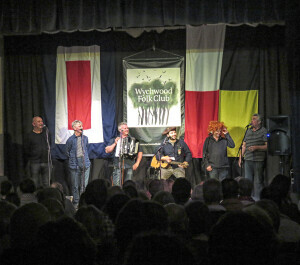 Wychwood Folk Club – What’s in a name? At the time of writing, Elaine & I have been running your local folk club for almost 5 years. Now do not be put off (and I’m sure many are) by the words ‘Folk Club’. Over the last five years we’ve put on artistes whose genre has been predominantly Blues, Bluegrass, Americana or just Acoustic Singer/Songwriter, musicians who have sung/played some incredible songs. Yes, we have had some really fantastic folk artistes on but that’s to be expected of a folk club. We’ve had some of the biggest names in the business with the likes of Steve Knightly, Phil Beer, Julie Felix, Peter Knight & Fisherman’s Friends plus many others too numerous to mention. We can have anything from 40 to 160 turning up for our events (we obviously prefer the higher figure) with some shows selling out quite quickly while others have taken up a lot of our time advertising and promoting to try and get people through the door. We’ve had people buying tickets from as far away as East Anglia, South Wales and the West country, tying one of our events in to a long weekend in the Cotswolds so we like to feel we’re doing our bit for the local economy. It has been very hard work, quite stressful at times, extremely worrying, but we’ve also had lots of fun and the bonus of meeting many talented artistes along the way. We have also met some wonderful guests and at the end of the night when they tell us they’ve had a great time it makes it all worthwhile. 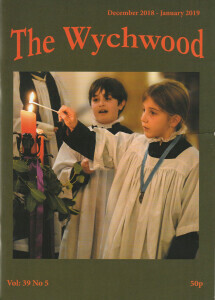 See the feedback section on our website www.wychwoodfolkclub.com. Our main venue is Tiddy Hall but we have also taken our shows to other venues as and when the need requires including Aston Village Hall and Beaconsfield Hall in Shipton. We are also planning to utilise other venues in the future including Leafield and possibly Witney or Chipping Norton. Not forgetting we also utilised the outside area of the Swan Inn to hold a festival (Swanfest) 3 years running engaging the services of Barbara Dickson as headline in 2016 and Martyn Joseph in 2017. Since we’ve started we have gradually built up our equipment and now boast a really good PA system (which we are not averse to hiring out). So, don’t be put off by the words ‘Folk Club’, come on down and take in a show; you never know you might enjoy it!